RUAN Hao received his Master of Architecture from Princeton University School of Architecture. 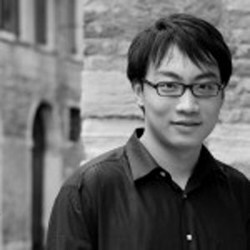 He also holds a M.Arch and B.Arch degree of architecture from Tsinghua University in Beijing and was one of the youngest Visiting Fellow at Harvard University Graduate School of Design. He teaches at China Academy of Art and in the School of Architecture. Prior to founding LYCS Architecture in 2010, Ruan has worked in SHoP Architects in New York, Amateur Architecture Studio in Hangzhou and Preston Scott Cohen Inc in Cambridge. Ruan is also an architecture critic with writings published by AREA, Time Architecture, Daylight and Architecture, World Architecture and Art4D. He was one of the authors of “Design for China”. Ruan was honored as the youngest “Asia Society Asia 21 Young Leaders” in Seoul 2006, and “Goldman Sachs Global Leaders” in New York 2005.